Virgin Atlantic will be operating daily domestic flights from Scotland to Heathrow from spring 2013 after being offered all the remaining slots that BA was forced to relinquish after its takeover of bmi. The flights to Edinburgh and Aberdeen are in addition to flights to Manchester (3 per day), starting in April 2013, that were announced in August. They will use an A320 that carries around 150 passengers. European competition authorities compelled BA to give up 14 slot pairs at Heathrow as a condition of approving its merger with bmi – that was opposed by Virgin. These domestic flights could be considered as boosting passenger numbers on transfer flights to destinations such as the USA out of Heathrow. However, Virgin has also said it will be using some of its new slots for point to point flights to Nice. [This appears to be evidence that scarce slots at Heathrow are not urgently needed for flights to the emerging or new economies for businessmen. The slots are instead used for whichever route is most profitable]. Virgin is also to trying to get a pair of slots for flights to Moscow, which the CAA recently granted to easyJet. Virgin Atlantic will be operating domestic flights from Scotland to Heathrow from next spring after being offered all the remaining slots that British Airways was forced to relinquish after its takeover of bmi. Virgin has long maintained that its business case depended on winning all the remedy slots to feed in enough transfer traffic at Heathrow to its long-haul flights to the US and elsewhere. The airline’s chief executive, Steve Ridgway, said: “We have fought hard for the right to fly short haul and take a strong challenge to British Airways within these shores. For 28 years both airlines have battled for customers all over the world and it has meant that British consumers have ultimately had some of the world’s best flying and lowest fares. Virgin expects to announce an exact timetable in the next fortnight, and will lease an Airbus A320, which typically seat around 150 passengers, for its UK flights. Industry observers have questioned how it will replicate its brand on short-haul flights, and whether profits can be made on routes where bmi struggled. Sir Richard Branson’s Virgin Atlantic has been awarded short-haul routes between Heathrow and Scotland. British Airways faces increased competition on its short haul routes after Virgin Atlantic was granted takeoff and landing slots to fly between London and Scotland, in a boost for Sir Richard Branson’s airline expansion plans. The slots were previous used by Bmi, which was bought by International Airlines Group (IAG), the owner of British Airways and Iberia, at the end of last year. “We have fought hard for the right to fly short haul and take a strong challenge to British Airways within these shores,” Steve Ridgway, Virgin Atlantic’s chief executive, said. “For 28 years both airlines have battled for customers all over the world and it has meant that British consumers have ultimately had some of the world’s best flying and lowest fares. “Passengers can look forward to a great short haul service with us but most importantly reap the benefits from the re-injection of vital competition we can provide on these routes,” Mr Ridgway added. A timetable is expected to be worked out within the next two weeks, with flights starting at the end of March next year. Virgin Atlantic, which recently lost out to easyJet for the right to fly to Moscow from London, will focus on its flights between Scotland and London. 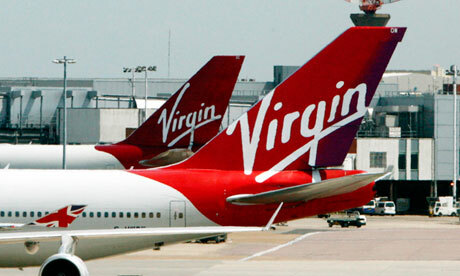 Virgin plans to run “multiple” daily flights from Edinburgh and Aberdeen to London Heathrow. Virgin has already launched a new Heathrow to Manchester route next year. The news is yet another blow to IAG, as British Airways merger with Iberia looks increasingly costly. The plan was to share operating costs between the airlines and reduce overheads, but the Spanish airline is losing so much money – about €1.7m (£1.4m) a day – it is almost wiping out the UK flag carrier’s profit. IAG is forecasting a €120m operating loss across the group this year due to the problems in Spain. Operating losses at the Iberia division hit €262m in the first nine months of the year. A series of painful restructuring measures have been announced, including the axing of a quarter of Iberia’s workforce and slashing the group’s fleet of aircraft by a quarter. Virgin Atlantic has secured all 12 of the remedy slots being released by International Airlines Group (IAG) at London Heathrow airport, though the airline’s original business plan will have to be amended due to its failure to win flying rights to Moscow. Regulators have forced British Airways parent IAG to relinquish the 12 daily slot pairs, citing competition fears about its market share at Heathrow following the takeover of BMI. The airline’s original submission to the European Commission proposed operating services to four destinations – the Scottish cities of Edinburgh and Aberdeen, as well as Moscow and Nice. It was competing for the slots with Irish flag carrier Aer Lingus. A spokesman for Virgin says it will ringfence “most” of the 12 slots for Scottish flights, but he acknowledges that further talks are required before the airline can publish its full schedule. Low-cost carrier EasyJet was last month awarded the right to take over BMI’s Moscow route by the CAA, though it will be transferred from Heathrow to London Gatwick airport. British Airways, Aeroflot and Transaero are the only other carriers permitted to fly between Russia and the UK due to bilateral restrictions. The CAA tells Flightglobal it is willing to hold discussions with Virgin over the coming fortnight, but it adds that the scarce capacity ruling in favour of EasyJet is unlikely to be overturned. In lieu of any change to the bilateral agreement, Competition RX, the body responsible for monitoring IAG’s slot remedy process, will likely ask Virgin to switch its Moscow plans to either Cairo or Riyadh – two other cities earmarked for the slots. It could alternatively hand some of the 12 slots back to a competitor. Aer Lingus issued a statement confirming that it has been notified of its failure to win the Heathrow remedy slots, though it stresses the process is “still ongoing”. Virgin’s entry to the domestic market also includes a thrice daily feeder service from Manchester airport to Heathrow, which is due to launch on 31 March 2013. The airline, which lobbied against IAG’s takeover of BMI, argues that its short-haul services will restore competition in the domestic market. It says talks are ongoing with an unnamed wet-lease partner to provide Airbus A320s for the Scottish services. Substantially cheaper flights to Russia from London will be on offer next spring after easyJet beat Virgin to win the Moscow slots freed up by the takeover of BMI by British Airways. The decision will be a blow to Richard Branson’s Virgin Atlantic, which had made a strong public play for the right to fly to Moscow. Virgin indicated it would not rule out legal action over the decision. The Civil Aviation Authority, which under a bilateral agreement with Russia has the right to decide on two British airlines for the route, announced it had chosen easyJet along with BA as a “distinctly different product” for the market. 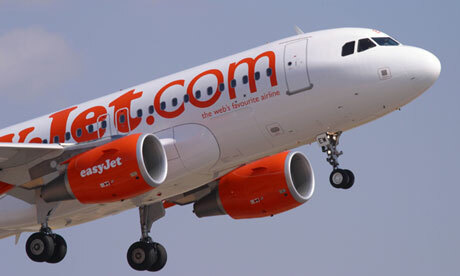 EasyJet promised return fares starting from £125. The slots were made available after BA’s purchase of BMI from Lufthansa left the national carrier in sole possession of all the Moscow slots, with BMI having been the only other British airline flying to the Russian capital. After a hearing, a CAA board panel decided to allow BA to continue to operate the services it runs from Heathrow to Moscow’s Domodedovo airport, and to grant easyJet rights to fly to Domodedovo from Gatwick. Iain Osborne, the CAA’s director of regulatory policy, said: “On balance, allocating scarce capacity to BA and easyJet is likely to deliver the greatest benefit to consumers. EasyJet’s proposal will introduce an innovative product into the market and has the potential to deliver the greatest dynamic fare benefits for consumers. “We concluded that easyJet’s proposal would introduce a distinctly different product as well as satisfying and stimulating consumer demand that is currently under served, in particular for people who prefer or are content to use Gatwick,” he added. EasyJet will operate an 180-seat Airbus A320 on two services a day and expects to fly more than 230,000 passengers in its first year of operations. It said it would be reviewing the decision and would not rule out legal action. The CAA understands that BA will continue with its current schedule. Posted: Monday, November 19th, 2012. Filed in General News, News about Airports, Recent News.